There are two kinds of flasks: the kind of flask you hide inside your jacket pocket and only whip out when you think no one is looking, and the kind of flask you proudly pass around to friends after taking a long pull. The Great American Flask by Jacob Bromwell is an instant classic that you will both flaunt and treasure for the rest of your lifetime. Every flask is handmade out of 100% pure copper in a Vermont workshop by blue-collar workers using traditional manufacturing techniques. You aren't getting a mass produced product that was made in another country or shipped overseas, so you know you are getting quality you can count on. In fact, every product sold by Jacob Bromwell comes with a lifetime guarantee because they stand behind the quality of workmanship, craftsmanship, and materials in every product they ship. Just look at the beautiful mallet work that goes on in their workshop! The Great American Flask by itself is a work of art. However, if you want to get the full Jacob Bromwell experience, there are a few additional details that you may want to consider including in your order. These options are presented right on the product page, so you can determine how blinged-out you want to make your flask before you add it to your shopping cart. 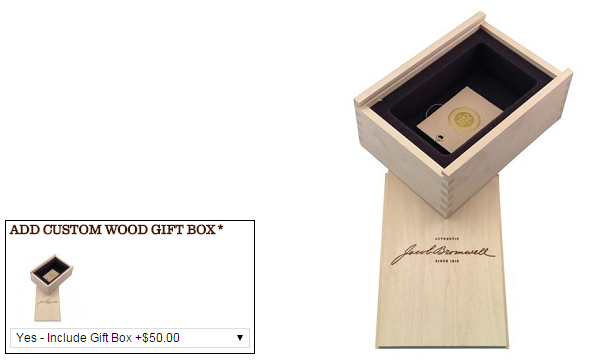 If you are giving the flask as a gift to someone else, adding the custom wood gift box for $50 will give your present an extra "wow" factor, and give the recipient somewhere to store their flask during those rare times it is not in use. 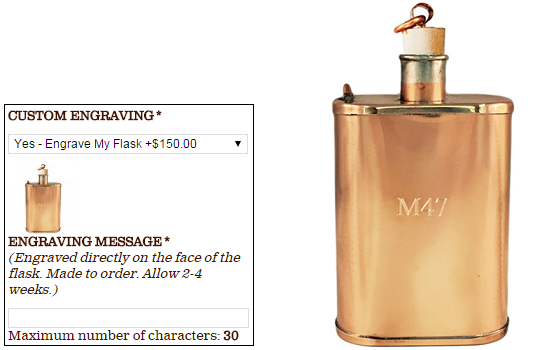 While you're at it, why not add a custom engraving to the front of the flask? This would be a great way to commemorate a special occasion by adding an anniversary date, birthday message, or maybe just the recipient's name so they know you were thinking of them when you bought their gift (and hey, this way you know it won't get re-gifted!). It's a pricey add-on at $150, but you know it will be done right by an experienced craftsman. This does add an additional 2-4 weeks of processing time to the order, so make sure you plan well in advance if you'd like to personalize your Great American Flask. Every flask comes with a leak-free cork stopper and an authentic American birch wood stopper to keep up to 9 ounces of your preferred libation secure. As an extra precaution, we also suggest adding on one of their wood stopper adapters that securely attaches the wood stopper to the body of the flask. 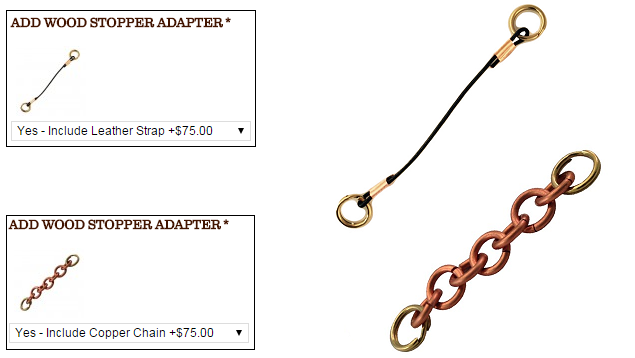 You can customize the look of your flask by choosing either a leather strap or a copper chain for $75. In case you don't have the steady hand of a world-class surgeon, consider getting a Jacob Bromwell pure copper funnel to go along with your flask. The only thing worse than spilling good whiskey is…well, we can't think of anything worse at the moment, so just don't risk it! Like the flask, the $125 funnel is also manufactured by hand and comes with a lifetime guarantee for its workmanship. Only three business days after I placed my order, I got a knock on the front door and a friendly FedEx delivery man handed over this unassuming parcel. Sure enough, the return address was from Jacob Bromwell, so I couldn't wait to open it up and see what was inside. The contents were securely protected with some air packing bumpers, and once I removed those, I got my first glimpse at what was inside. 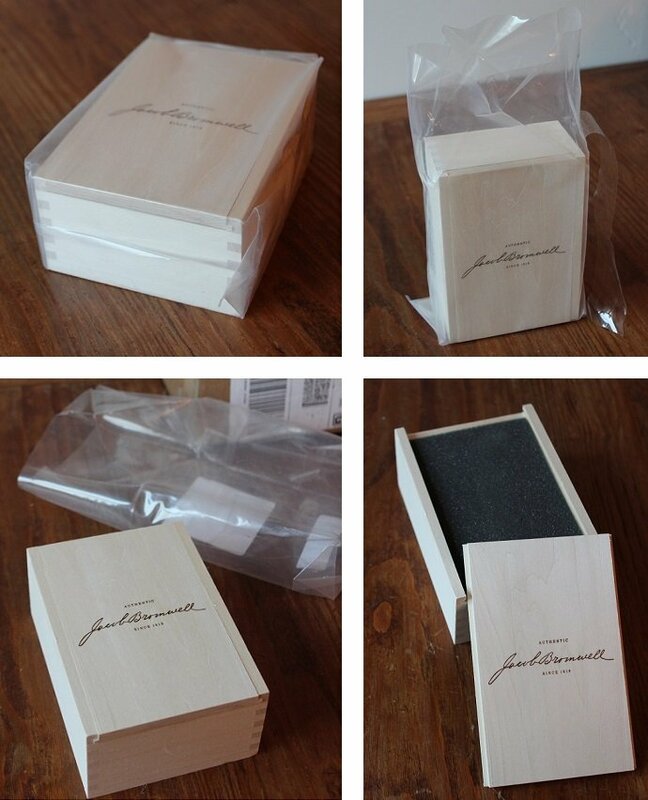 The custom wood gift box was covered in a plastic protector, and the package also included a packing slip and marketing brochure with a little information about the company and their Lifetime Guarantee. Like a delicious truffle, I wanted to savor this moment of unboxing anticipation, so I slowly slid the wood box out of the plastic cover, took a moment to admire the well-made construction, and then slid off the perfectly-fitting lid. I thought I was going to get my first glimpse of the flask, but alas, they kept me in suspense for one more moment with an extra layer of padding! Once I removed the padded foam cover, I got to take a look at the Great American Flask in person. It fit comfortably into the box like a little egg in a nest, with the cork and American birchwood stoppers flanking both sides of the mouth of the flask. Let's take another moment to admire this beautiful, handcrafted Great American Flask in all of its glory. After I took the flask and stoppers out of the box, I saw that the bottom was hand stamped with the Jacob Bromwell logo. This is so others can admire the quality craftsmanship as you're taking a swig from the flask and its bottom is in the air. Well, that's my theory, at least. I was definitely impressed with the overall quality of the flask, and the shiny, 100% copper materials felt sturdy and durable in my hand. I tried out each of the stoppers in the mouth of the flask, and both fit snugly, although the birchwood stopper did tend to let a little bit of liquid seep out when the flask was turned upside down. 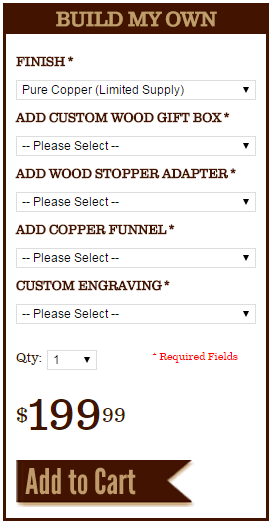 If I were to order this product again, I think I would spring for one of the wood stopper adapters. I can see wanting to keep the cork stopper handy for when I was on the go and using the wood stopper for when the flask is on display, and keeping track of two loose flask stoppers is a lot to ask! Jacob Bromwell delivers on their promise of high quality craftsmanship with the Great American Flask, and it is a visually pleasing accompaniment to any bar display. With a capacity of 9 ounces, it holds more than the average flask, and the cork stopper makes sure that all 9 ounces will make it with you to your destination whether it's a trip to the beach, a weekend camping trip, or a golf outing with your friends. I would advise always filling it to the top before you leave the house because with a flask this flashy, you may be asked to share. 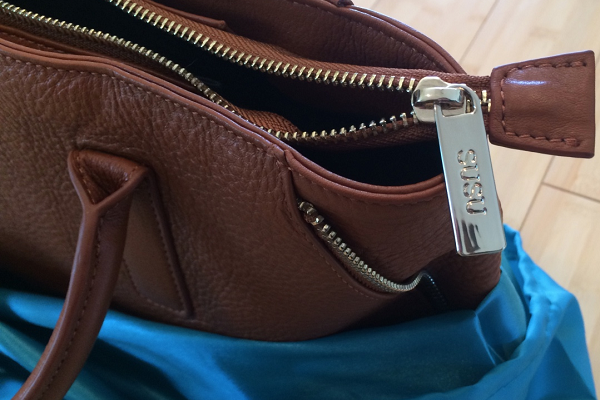 The Allen Cognac Leather Tote with Dual Side Zippers from SUSU Handbags retails for only $298 - a steal for a high-quality, premium leather handbag. Join us as we unbox, unwrap, and explore our new accessory.